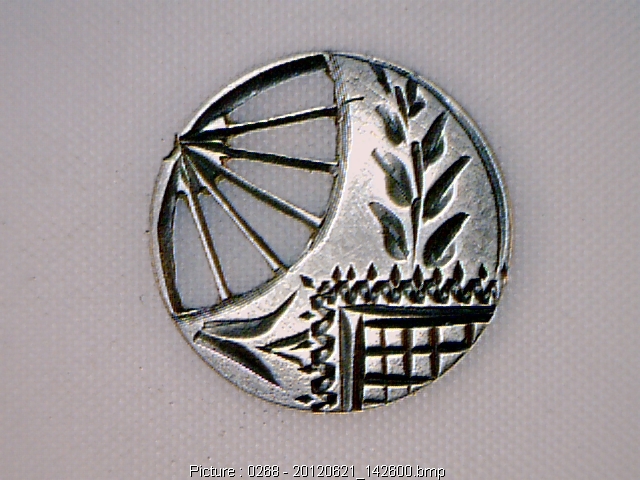 Love token coins were made in shapes other than round. Clipping the edges into an octagon shape was one of the more common types of cut down coins. 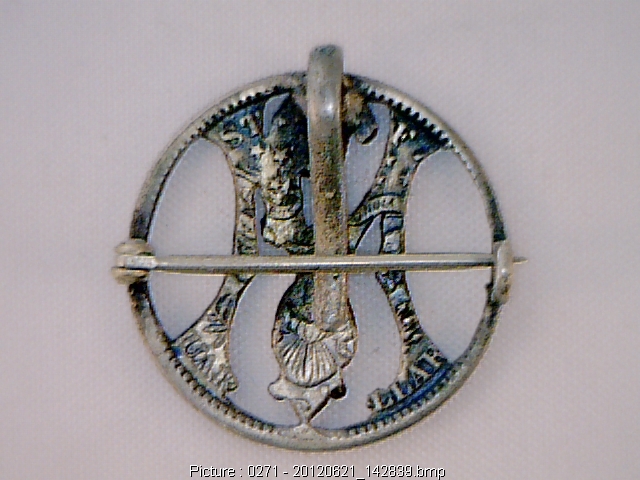 Also, dimes were occasionally cut smaller to match the size of a half dime. 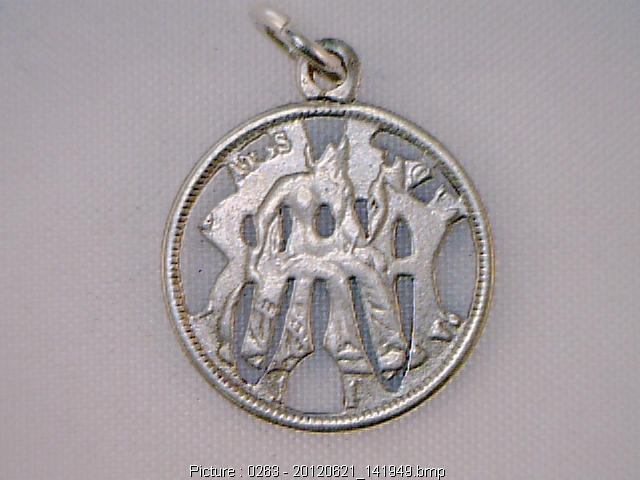 Half dimes were last produced in 1873. 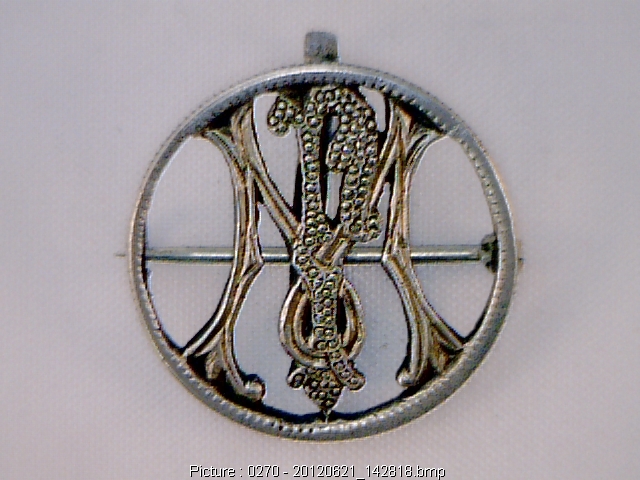 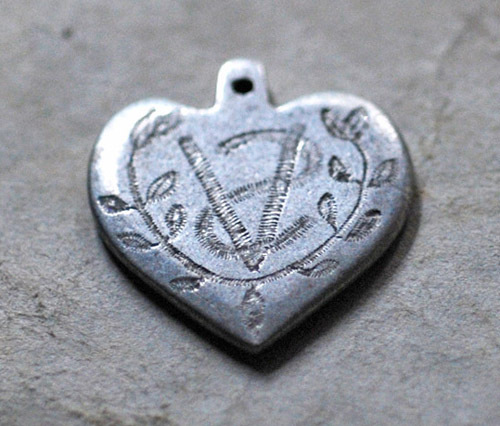 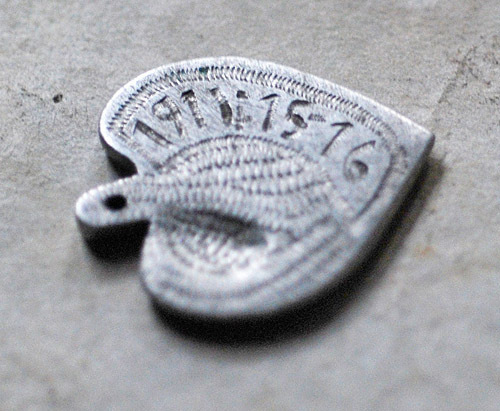 If someone were having a love token made during the heyday of love token production (late 1870’s through the late 1880’s and also during the Columbian Exposition) and wanted to match an earlier half dime love token, then they might resort to cutting a dime smaller. 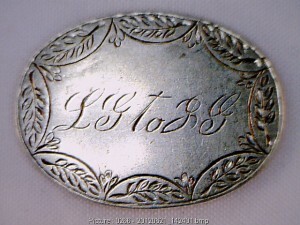 Besides cutting coins into shapes on the outer edges, occasionally initials were “cut out” with the metal around them being removed. 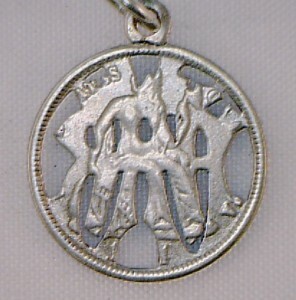 Dime with a fan shape cut out. 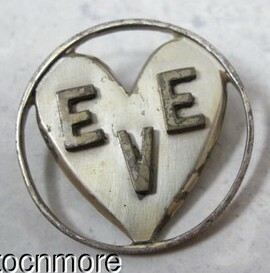 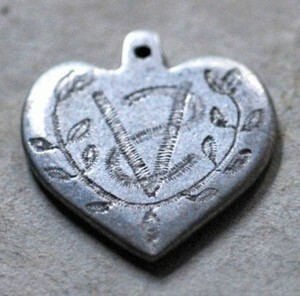 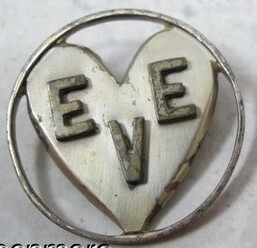 heart and “EVE” in overlay. 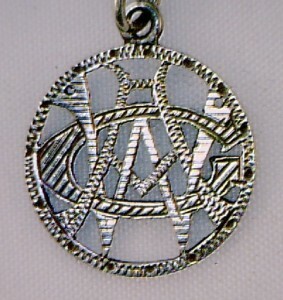 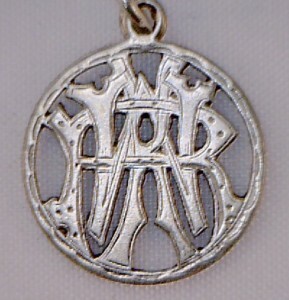 “WKR” cut out and engraved. 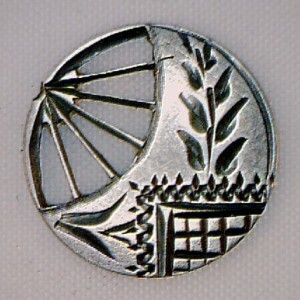 Seated dime reverse. 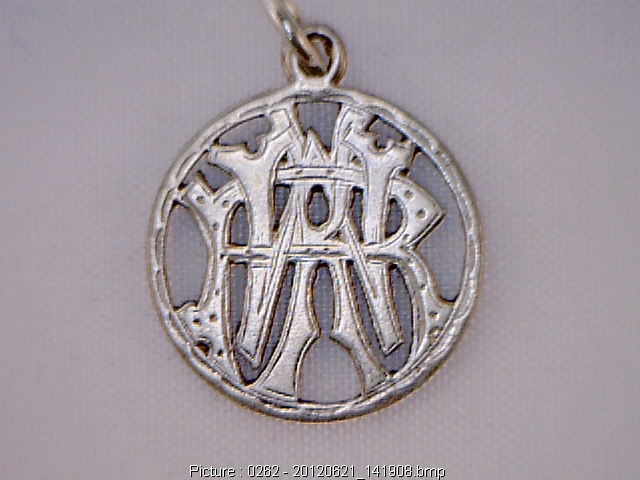 “JW” cut out and engraved. 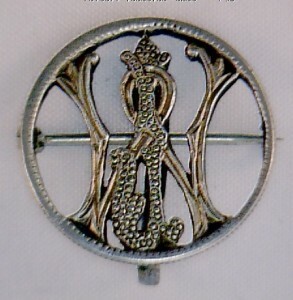 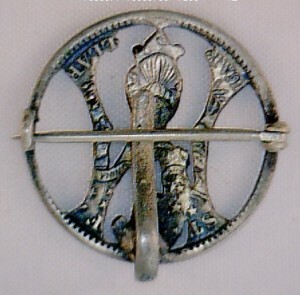 Barber quarter watch pin. 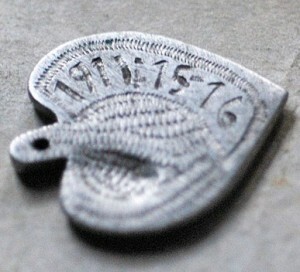 “WAG” cut out and engraved. 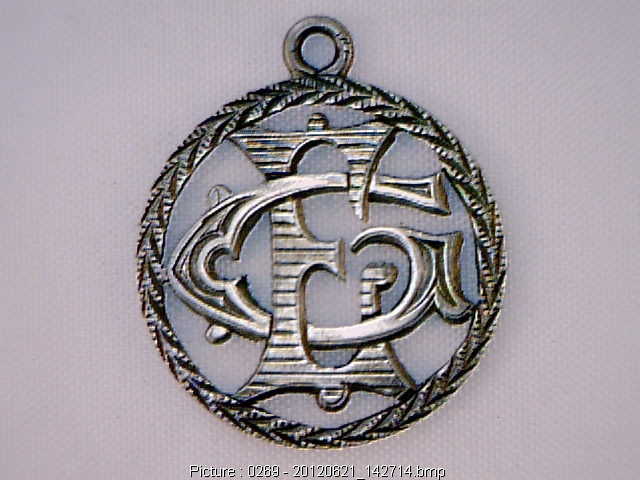 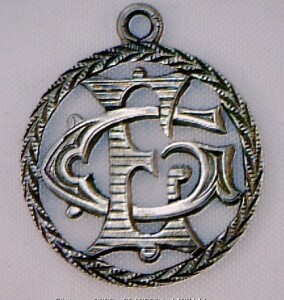 “EG” cut out and engraved. 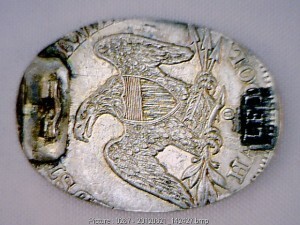 Engraved on both sides and undeterminable if it is a coin. 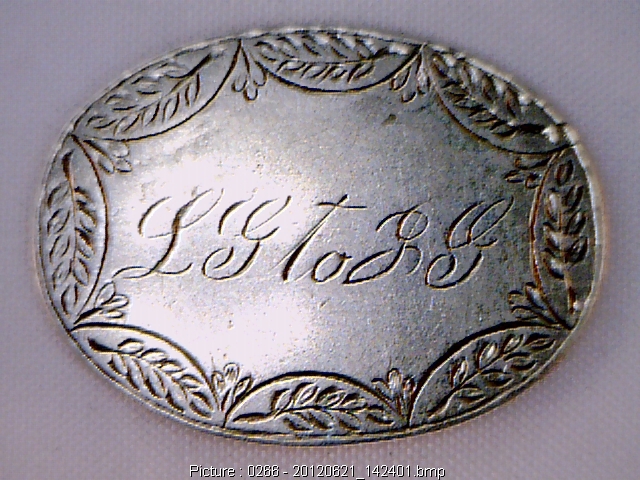 Sometimes initials were carved in reverse to conceal identities. 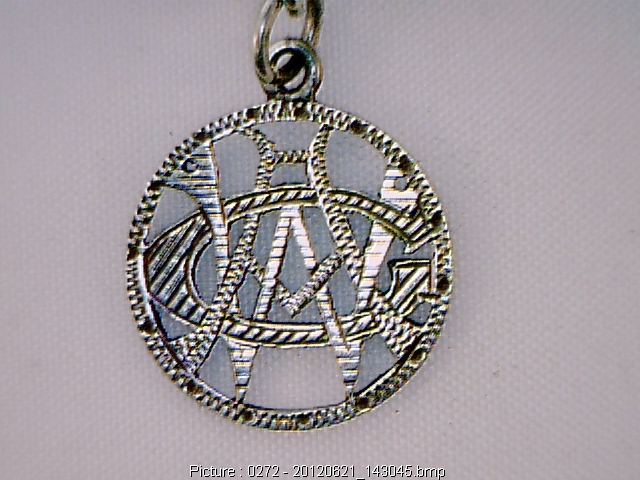 These are easy to decipher.